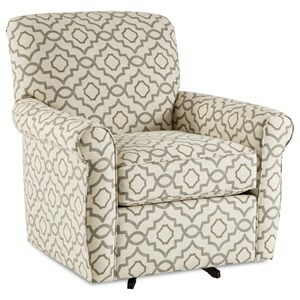 Snuggle up in this cozy and stylish chair for a bit of rest and relaxation. This piece is softly supported by individually-channeled back cushions and wrapped, high density foam seat cushions to create a comfortable and resilient piece of furniture. This chair is customizable in five optional arm styles and three optional leg styles. 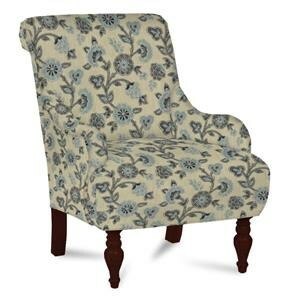 You can also choose the style of back cushion and add optional nailheads to the arm or chair base rail. 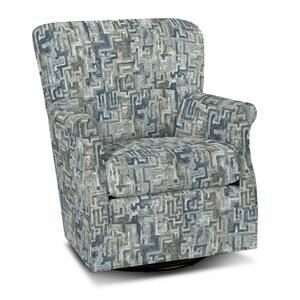 The C9 Custom Collection Customizable Chair by Craftmaster at Zak's Home in the Tri-Cities, Johnson City, Tennessee area. Product availability may vary. Contact us for the most current availability on this product. Arm Available with Panel Arm, Sock Arm, Pleated Arm, Track Arm, or English Arm. Panel arm also available with nailhead studs. Leg or Skirt Available with Waterfall Skirt, Tapered Wood Leg, or Turned Wood Leg. 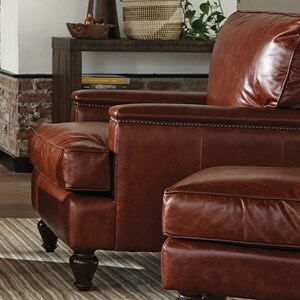 Tapered and turned leg options also available with nailhead studs along the base. 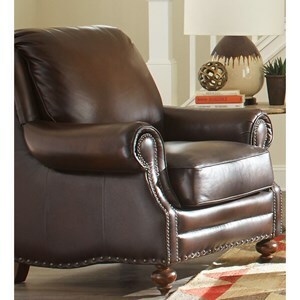 The C9 Custom Collection collection is a great option if you are looking for furniture in the Tri-Cities, Johnson City, Tennessee area. Browse other items in the C9 Custom Collection collection from Zak's Home in the Tri-Cities, Johnson City, Tennessee area.